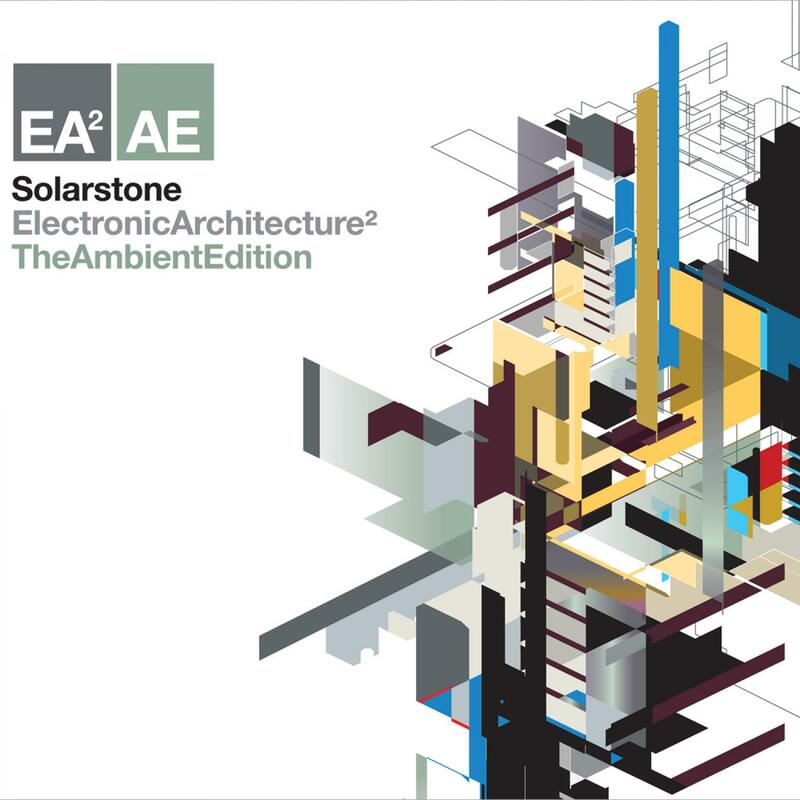 "Electronic Architecture 2 (Ambient Edition)"
When he first presented the follow up to Electronic Architecture, Solarstone promised that in every aspect the Squared edition would be "an evolution". The 2XCD main-line album is out now and has again wowed fans and press alike (with Mixmag saying that it was a "perfectly crafted international journey across (electronic dance music's) sub-genres". EA² has seen Richard commission the world's first 'open-source' album cover, allowing fans to create their own bespoke version of its extraordinary cover image. Slow-Mo Architecture: With its epic, pacific cool, EA's bloodline has always been as closely aligned to ambient as it has trance or progressive. Now as part of the Solarstone's continuing mission to provide the ultimate panoramic compilation experience he's isolated EA's chillout gene and put it under the microscope. ElectronicArchitecture²'s multinational artist contingent have returned to their studios and summoned a quiet storm of sound, one with which Solarstone has created ElectronicArchitecture² - TheAmbientEdition. EA On The Beach: Mix1 is fully focused on delivering an unbroken 70 minutes of seaside atmospherics and sunspot sounds. The tranquilized, vocoded vocal of Kazusa & Shingo Nakamura's 'Dice' and the spider-ish synth-crawl of Aerium's Icedive start the (beach)ball rolling. Solarstone has transported the now highly recognizable shimmering sound-set of his latest single 'Big Wheel' far beyond the sunset horizon. From there the ocean-deep re-imagining of Janerio and Sovt's 'Dreams of the Sea', Jahawi's equatorially warm 'From Nairobi to London', Mike Saint-Jules' piano-lined 'Vespera' and the full beat-free immersion of Majera's 'Escapade' compete to out-chill each other. V Is For Vangelis: The album's discs have two deliberate tonal slants, with the second providing a palpable shift away, towards enigmatic and more elegiac audio. The mystical Eastern tinge of Medway's 'Resurrection' launches the disc and is quickly followed by Piotro's film noir-ish 'Mist' and the long, held, evocative notes of 'Uncontrollable Day'. Further marking the mix's less-chilled, more-filmic lean is the lamenting, semi-dissonant electronica of Daniel Mahaud's 'Winter Solstice', the incredible live percussion of Cassino and Laben's 'Touchstone' remap and Elfsong's ambient re-touch to 'Eta Carinae'. The album culminates with an extraordinarily powerful half-speed retelling of Nick Stoynoff's 'Tokyo Nights' and Alucard's otherworldly (and infinitely Blade Runner-esque) 'Blanket Town'. With Electronic Architecture² - TheAmbientEdition, Solarstone has delivered the ultimate album expansion pack. EA²'s 2 discs have become 4, creating a truly incredible 360° listening experience.